I have been bold lately and entirely neglecting my skin care routine. 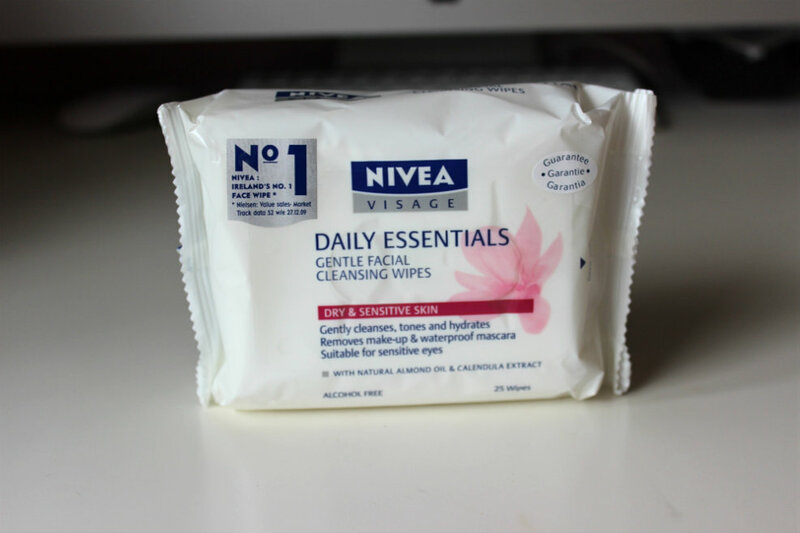 I have just been using these wipes to remove my make up at night! Although, they are lovely and gentle and remove all my make up even mascara. I also find they don't dehydrate my skin which a lot of wipes do. I try not to use them on a regular basis only when I'm tired and it is better than leaving my make up on over night. 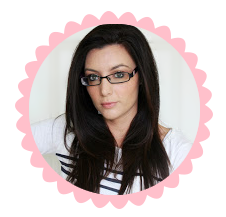 I rely heavily on dry shampoo as my hair is really thick and takes ages to dry so I try to only wash it every 3 days. In order to freshen it up I spray some dry shampoo in. I find the Batiste brand makes my scalp really itchy and my hair feels like I have chalk in it. 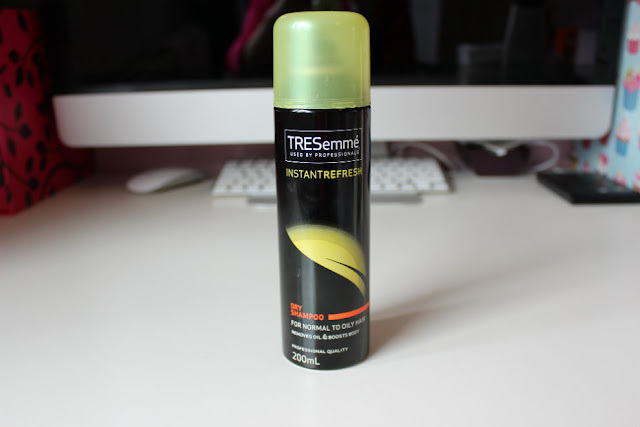 For me Tresemme works much better and I much rather the smell of it. 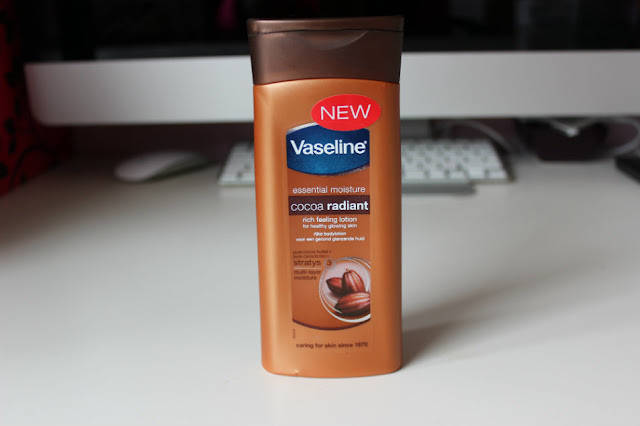 This is featuring in my monthly favourites because it smells delicious and that is the only reason! 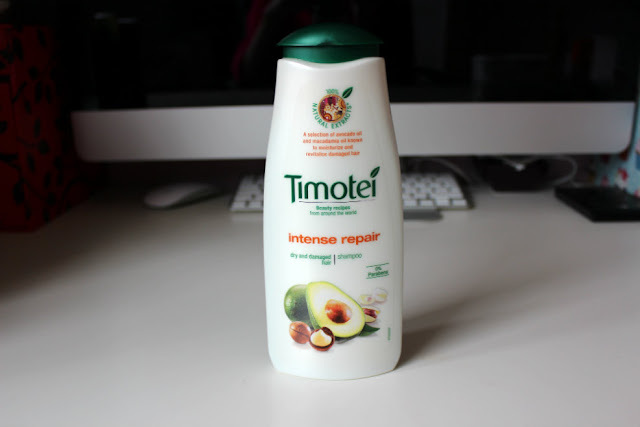 I don't think it is an amazing shampoo but it does the job and my hair is in good condition but I think that is due to Kerastase Nutritive Masquintense which I use as a conditioner and I swear by it! 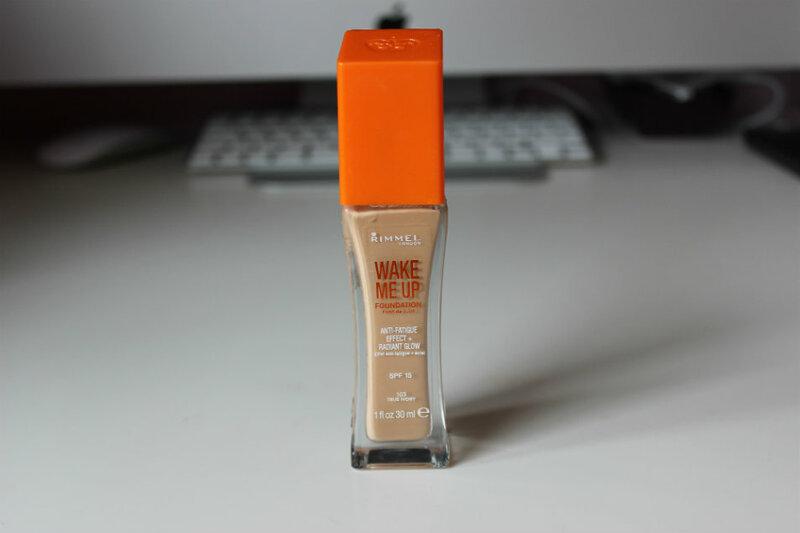 I bought this as it was in offer in Superdrug and I love it. 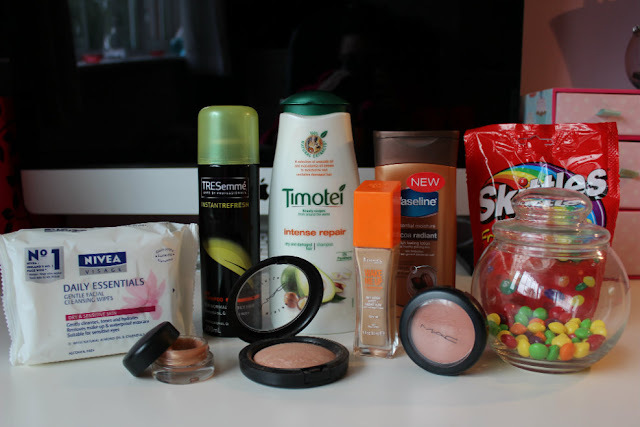 I will definitely repurchase it. It smells gorgeous, is really nourishing and absorbs very fast which is a plus as I have bought the Vaseline Cocoa oil previously and it takes forever to absorb and ends up all over your sheets. I think this is my new favourite foundation. 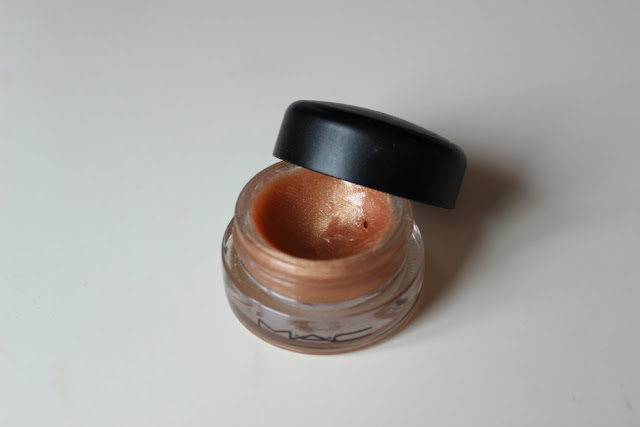 I have been using Nars Sheer Glow lately and it hasn't really been holding up so I pulled out my Rimmel Wake Me Up and I am hooked! It gives you a beautiful flawless finish. I am wearing it in all of my recent OOTD posts. I was having a look through my blush collection and came across this beauty which I had totally forgotten about. It gives a lovely dewy finish and a healthy glow. The only drawback is it leaves a slightly sticky residue on the cheeks but as I have dry skin I don't mind this too much. This is a lovely product for the summer months as it gives a lovely glow to your cheeks. 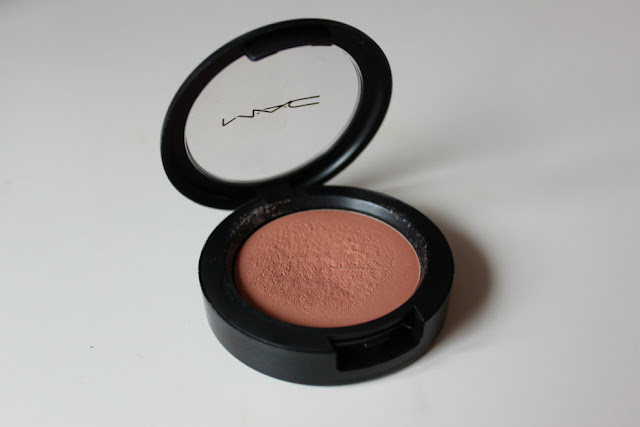 I tend to use it as a highlight or somedays I use it as a blush. I read recently that you can apply these wet by spritzing your brush with some Fix + to give a different look so I am definitely going to try that out. I forgot how much I love this. It is really moisturizing and not sticky in the slightest. It gives a lovely natural finish to the lips. The only thing which I dislike about this product is the fact it is in a pot I tend not to bring it out with me as I don't like applying it without washing my hands. 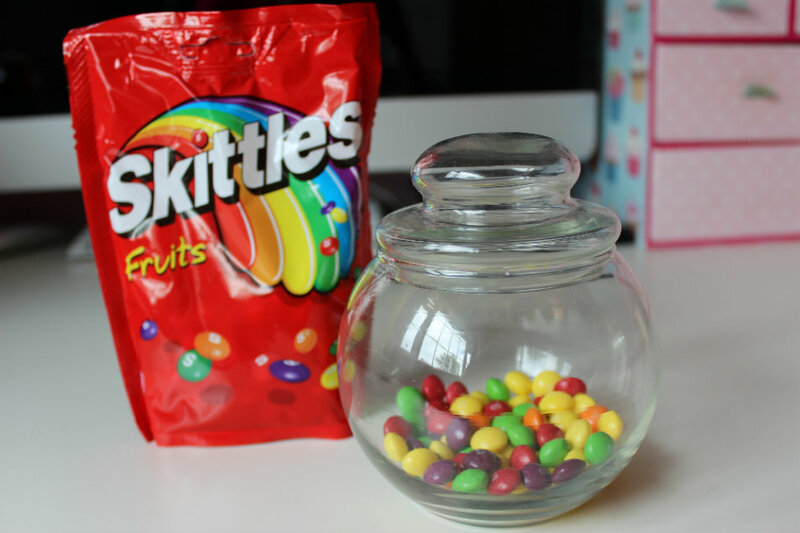 I don't know what has gotten into me lately but I am addicted to Skittles! I am even consuming them as I am writing this post! This is one thing I am going to have to give up as they can not be doing me any good! Oooh this has reminded me I've got a packet of Skittles in the cupboard, might have to open them for a midnight snack! I've been looking for a new moisturiser this week, that Vaseline one sounds great, will have to look for it next time I'm shopping. 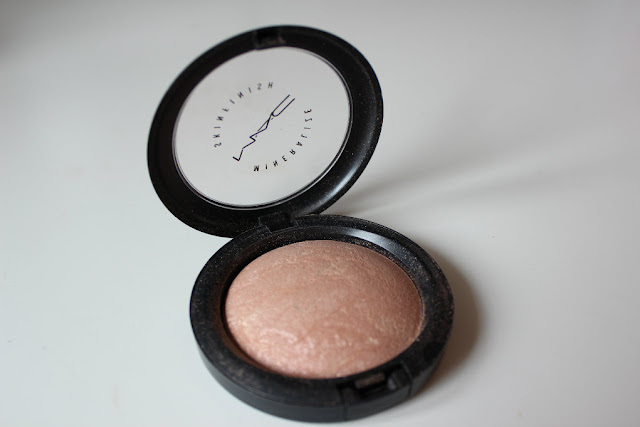 The MAC mineralise skinfinish look lovely too, such a pretty colour!